20 Jul Dry weather, merinos and store vs prime. The restocker lamb discount in NSW has reached new lows in recent weeks. 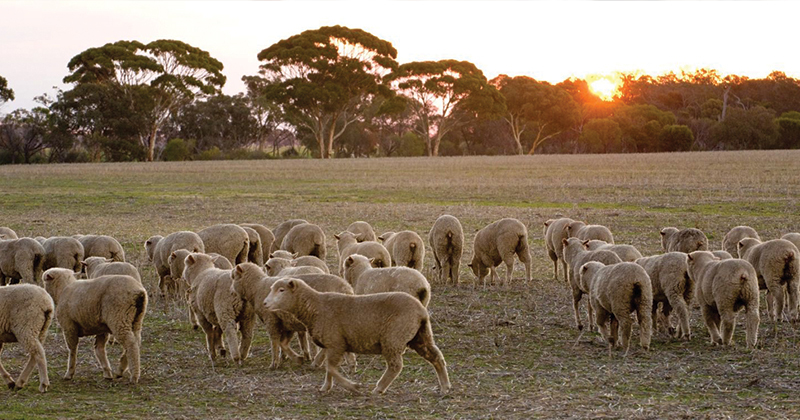 Store lambs are likely to remain relatively cheap if it doesn’t rain, finished lamb prices should remain strong. A good rain will boost store lamb prices in the short term, and weaken finished lamb prices later. Earlier this week we took a look at the usual supply of new season lambs out of NSW, and how this might change this year. Since then we’ve had a related query on how the expected increased supply of store lambs out of NSW might impact prices and whether Merinos normally soldas store lambs might be better off finished and on the hook. The answer, as always, is it depends on rainfall, but we’ll run some possible scenarios. There is plenty of concern surrounding what will happen with NSW lambs which are not going to be finished at the usual time. NSW producers will have a couple of options. These lambs can be sold as stores in the spring. If it rains in the next month or six weeks, lambs are more likely to be grown out and sold later as finished lambs. The question we had was from a grower who normally sells one-year-old merinos off shears as woolgrower wether lambs. The concern is that the price of store wether lambs might enter a market where buyers might be more attracted to cheap store crossbred lambs, rather than merino wethers. The other option is to fatten the merino wethers to sell over the hooks. In essence, we are taking a look at how the store market might be priced in the spring and how long merino slaughter prices might hold strong. NSW store lamb prices haven’t taken a hit in recent weeks, they just haven’t recovered like the prime lamb market. The NSW Restocker Indicator has been trading between 550 and 600¢/kg cwt over the last month (Figure 1). It’s discount to the Eastern States Trade Lamb Indicator (ESTLI) has never been larger (Figure 2). It’s not unusual for restocker lambs to become cheap at this time of year, but given the season in NSW, it’s hard to see restocker lambs bouncing back relative to the ESTLI. The worst case scenario is restocker lambs staying at around a 100¢ discount to finished lambs. The ESTLI seems unlikely to fall below 650¢ in the medium term and given the expected finished lamb supply it should hold through into early spring, so we can peg restocker lamb values at 550¢, or $92 for a 40kg liveweight lamb. Meanwhile, slaughter Merino lamb prices are holding strong. The National Merino Lamb Indicator is at 650¢/kg cwt (Figure 3), which is probably the best case price for the spring, as prices might fall as low at 580¢. For an 18kg cwt slaughter merino lamb it gives us a $105 to $117 per head plus skin, which is a good premium to the expected store lamb price. This basic analysis gives a good indication that finishing lambs for slaughter in the spring is going to be a better option than trying to sell as stores in a dry season. If it rains it will open up options for lamb producers, as increasing feed supplies will see the store/finished lamb spread narrow. We know that lambs need to be set on course for slaughter soon with preferential treatment or supplementary feeding, and if it rains this effort might be wasted. But it’s worth remembering finished lambs from NSW are still going to be a while coming, even if it does rain soon.